Hey Guys ! 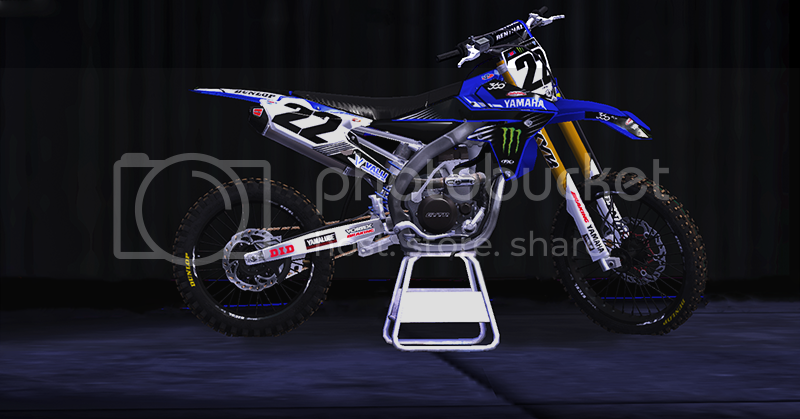 This is my New creation, This is a replica of Chad Reed Bike ! Had this bike started, but I never finished it. Good Job. what do i have to have downloaded in order for this to work? RadRacer wrote: what do i have to have downloaded in order for this to work? It wont show up for me. i downloaded it and its not in the game. Is there another persons model or something that i need? how do i get the 2016 models? You need to use the 2016 02-15 snapshot at the earliest, the latest will work as well. What version are you using currently? Awesome Job mate looks awesome! could i have a different link the one provided dont work for me . thanks man.